The terms employers use to talk about their organisation and/or their recruitment process can be confusing. Get prepared for the autumn term employer events and your job applications with our jargon-buster. Magic circle – Nothing to do with Harry Potter. This is the term sometimes used to describe the top 5 law firms in the UK: Allen & Overy, Clifford Chance, Freshfields Bruckhaus Deringer, Linklaters and Slaughter & May. Silver circle – Similar to the above, a group of top law firms that do not quite rank alongside the magic circle: Herbert Smith Freehills, Ashurst, Berwin Leighton Paisner, Macfarlanes and Travers Smith. The big 4 – These are the 4 largest professional services networks in the world: Deloitte, PricewaterhouseCoopers, Ernst & Young and KPMG. They offer audit, assurance, taxation, management consulting, advisory, actuarial, corporate finance and legal services. SMEs – Small or medium-sized enterprises. In the European Union, these are defined as organisations that employ fewer than 250 employees and have an annual turnover of no more than 50 million euros. Vacation scheme – This is not a holiday! A period of work experience with a law firm, usually running for 1 or 2 weeks. Internship – These are often paid placements offered by firms who regularly recruit graduates. Most often in the summer, but there are also part-time, term-time and vacation opportunities. Hidden jobs market – This is a term often used to describe jobs that aren’t advertised. You can tap into this by networking, making use of contacts and writing speculative applications. Entry level job – A role that requires little prior experience in the field or profession. Referees – These are the contacts (usually two) you put on CVs or application forms who can be contacted by an employer to verify the information you have provided or to give insight into your personality. The referee should know you well enough to be able to write positively about you. Transferrable skills – Also known as ‘soft skills’ or ‘portable skills’, these are skills used in one job or career that can also be used in another, rather than relying on direct experience of the industry. For example, leadership, organisation and communication skills. DOE – Think it’s a female deer? Think again! Abbreviation for ‘dependent on experience’. An employer will offer a salary within a given range but is willing to pay more for a candidate with more experience. OTE – Abbreviation for on-target earnings. This is an estimate of actual earnings where pay is made up of both base salary and a variable bonus/commission. Particularly found in job descriptions for sales roles. Graduate scheme – A structured programme for recent graduates that includes work and training. It can last up to 3 years, though some are much shorter. Completing the scheme successfully often secures a professional qualification as well as a permanent role in the organisation. Psychometric test – Any activity and assessment that is conducted in order to evaluate candidate performance, including intelligence, skills and personality. Assessment centre – Usually a day or half day at an employer’s office or training venue involving a combination of tasks and activities to find the right candidates. Involves working in groups and includes a variety of exercises such as role play, in-tray exercises and presentations. Competency-based interview – This is an interview where situational or behavioural questions are asked. They aim to find out how you have used specific skills in your previous experience and how you approach problems, tasks and challenges. Strengths-based interview – Type of interview style becoming increasingly popular amongst graduate recruiters. It aims to find out what you enjoy doing and hence what engages you the most. If you would like more information about some of these terms or support with finding and applying for opportunities, visit the careers service website or contact us directly. I discovered the Careers Service during the first year of my LLB Law degree, as it was next to my accommodation at the Hawthorns. I used the Service in my first and second years by attending events and seminars as part of the Bristol PLUS Award, which was great for building skills, and later put on my CV. During my third year I lived at home in London, so didn’t have the time to continue this level of engagement – I did, however, book a twenty minute appointment (conveniently on the day) with an adviser to discuss whether my plans and the steps I had taken to become a lawyer were sufficient and appropriate. This was a unique opportunity to get an opinion not only from an impartial third party (which I had not had before), but from an expert. The kindness and genuine interest shown for my concerns and questions was really reassuring, and exactly what I needed during my stressful final exams! After University I learnt that the Careers Service is available to students for up to three years after graduating. Seeing as I was slow to begin the next steps to my future career (waiting around one year after graduation), it was again reassuring to know that this support was available. After a few months of travelling I decided to knuckle down. The first thing to consider was my CV, which I had not looked at since secondary school! The next day therefore I went into the Careers Service to have a browse through their available resources. It was great to have access to such a wide variety of up-to-date books, magazines, and newsletters dedicated not only to the art of CV writing, but also to developing interview skills, and finding out about particular sectors and industries. Additionally, having computers available for use by graduates and undergraduates at 5 Tyndall Avenue was helpful – I often used these to look at the CV page of the Careers website, which provided plenty of useful examples, as well as top tips written in clear, plain English. The Careers Service also offers accessible workshops and seminars. All of the advisers are especially welcoming, and provide useful advice, offering the opportunity for questions both during and after their events. Attending the CV-writing seminar, for example, bolstered what I had already learnt from the website. The final step in composing my CV was to attend a drop-in session – a 10-minute appointment bookable at 8am on the day, during which an adviser will look over your CV, cover letter, or application form. This meeting was particularly insightful as the appointment was one-on-one, and the adviser provided honest advice and helpful suggestions, such as the use of ‘action words’ to make my CV more engaging. For me, the entirety of the Careers Service has proven invaluable, helping me each step along the way. From the days when I didn’t even have a CV in hand, I am now able write this blog having just been given my first ever interview for a vacation scheme with one of the Top 100 Law Firms in the UK…! So – if you’ve recently graduated from Bristol, and are looking for advice or guidance with any aspect of your career we can help. For more information visit our Graduate page today! The University’s MA in Law programme offers a wide choice of career paths – both inside and outside the legal sector. William Bartoli-Edwards, a Bristol Music graduate has posted a blog about this innovative postgraduate programme. Why the MA in Law? 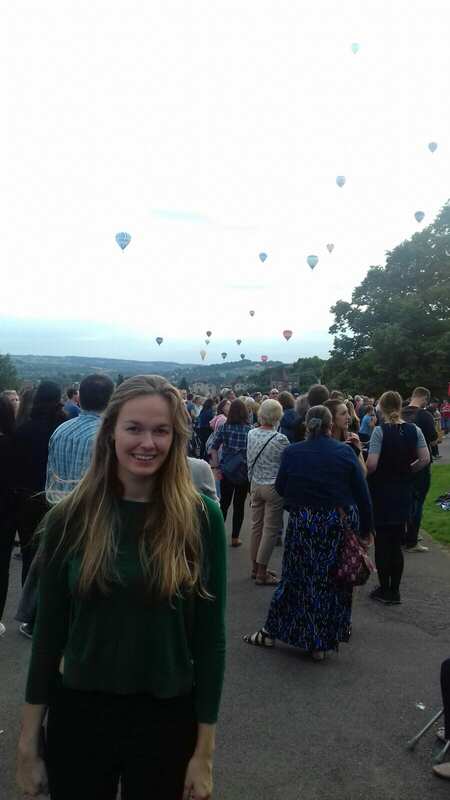 As a first year Law MA student who also completed an undergraduate degree at the University of Bristol, the MA course has lived up to my hopes and expectations. My initial decision to enrol on the course was taken because I felt that, despite having taken steps forward in my academic development during my BA, I had not quite satisfied my academic curiosity and development. Therefore, looking for a course that gave me more academic challenges, but also complemented my initial degree, was a focus which quickly led to the Law MA as the ideal outcome. When comparing the course to the GDL the Law MA seemed to suit my needs better; the GDL was more of a practical solution to being able to practise law, rather than an academic endeavour. Similarly, Bristol stood out in comparison to those other universities offering an accelerated LLB course. 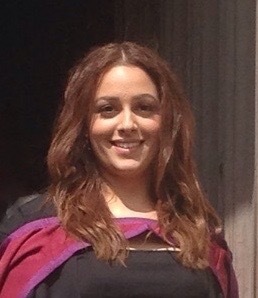 The MA provides a basis to support many more opportunities for further study and professional development outside the field of law, as well as offering the opportunity to preview an LLM, with the optional module in the second year being chosen from either the LLM options or a Master’s level research project. For me, personally, because my undergraduate degree was in Music, Bristol, being a media and creative centre, lent itself well to support my continuing professional development, leading to a University Internship Scheme with Aardman Animations. This is also an example of how diverse law is as a subject. Not only does it enhance all of the sought after skills, such as critical analysis, but it is likely to complement most interests or sectors since specialist knowledge as well as practical knowledge often go hand in hand. Therefore, for example, a specialism in contentious music litigation is now a possibility for me. Nevertheless, a non-law focused career is equally possible. For me, with a passion for music and the music industry, there are a variety of jobs and possibilities which the transferable skills from law complement in the commercial music environment. In an industry such as music, ‘career paths’ are less common, or at least less clear, compared to many other professional areas. This is where the skills of the MA will be increasingly valuable. The critical thinking and the ability to analyse any situation you are dealing with means carving out your own, specialist, career path becomes much less worrisome. Finally, the department itself is one full of enthusiasm and energy. The professors are extremely willing to help whenever and with whatever you need. From my experiences of other courses, within and outside of the University of Bristol, this course offers a great deal of personal development that is hard to find elsewhere. The legal sector has not escaped the effects of the current economic recession and competition for both training contracts and pupillage is still very high. Many graduates are finding it harder to secure work after their professional legal training (Legal Practice Certificate or Bar Professional Training Course) and many are spending time as paralegals before being able to apply for training contracts. Available work at the Bar has become increasingly limited due to an increase in solicitors taking on advocacy roles in the High Court. With the majority of barristers being self-employed, they now have to work harder to find cases even when installed in chambers. Professional legal training is very expensive and, while these fees may be paid for you if you successfully obtain pupillage or a training contract, you need to be able to cover the costs if you can’t find a position. Fees vary between training providers, and training in London is more expensive but essential with ‘magic circle’ and top tier firms. Expect to pay £13-17k for the BPTC, £10-14k for the LPC and, if you need the Graduate Diploma in Law as a non-Law student, another £7-10k. You may be able to obtain a bank loan to cover these costs, but be aware of any debt you are adding to your existing undergraduate costs. Most providers offer information about payment plans and loans on their websites. It’s also important to look into bursaries and scholarships, including those offered by the Inns of Court. Be aware that some graduates will complete the LPC/BPTC and still find no legal work available to them. In this case, you need to be able to identify and market the extra skills and knowledge gained from this training to non-legal employers, so do be prepared for this eventuality. Having relevant work experience on your CV is becoming increasingly important in the legal recruitment market. Along with finance, it has become a sector where many organisations recruit onto graduate schemes directly from vacation and internship programmes, so it’s vital that you look ahead and apply early. Non-Law students won’t be expected to have done quite as much, but it’s still important to show commitment, so you will need to seek out work experience and shadowing opportunities where you can. This will require you to contact firms directly and ask what’s available to you, so don’t be shy if you want to get ahead! Firms want enthusiastic and interested graduates, so approaching them directly is a great way to show off what you have to offer. Don’t just use email – your message will get lost in a busy person’s inbox – so make sure that you’re phoning the right people as well. 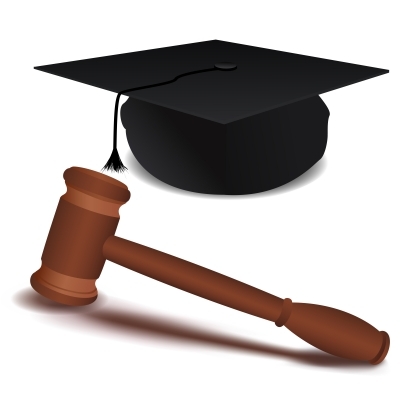 Have a look at our ‘I want to work in Law’ pages for employers, organisations and contacts. With the majority of students being regular Facebook users, there’s no excuse not to be using social media to stay ahead of the game. Big firms have their own Facebook pages and Twitter feeds where you can see what’s happening and work out who’s who. Linked In allows you to produce your own online profile, join in with legal group discussions, follow particular firms and view the profiles of legal professionals so that you can build your list of contacts. Intelligent commenting, use of discussion boards and Q&A features will help to get you noticed. The Careers Service offers regular social media workshops, so sign up if you’re not sure how to make the best of it all. Don’t forget our own Careers Network, which lists many Bristol graduates who are now legal professionals and can be emailed directly. Crucially, using your contacts and social media will help you to tap into the ‘hidden job market’ and potentially find vacancies and shadowing opportunities that may not otherwise be advertised. It’s absolutely crucial to understand that firms and chambers work as businesses, and that they need you be aware of current affairs, events and market trends that will affect legal practice and the firm’s income. You should be staying on top of the news every day and looking at ways in which items can be interpreted from a legal perspective; this will impress when included in your applications and interviews. Many of the good quality newspapers are available online, so you don’t even have to buy a copy. The Guardian has a regularly updated online Law section. Career paths have never really been that direct but, in these currently challenging times, they can be even more tangential than usual. You may find that it takes several years before you end up where you wanted to be, so it’s important to keep setting goals that you can work towards, as well as maintaining your contacts so that you can keep up to date with what’s going on in the sector; there’s no point setting your heart on getting a training contract with a firm that is downsizing due to the recession, so stay on top of the news and be realistic. Don’t forget that you can also continue to use the Careers Service for three years after graduation to help you make those crucial transitions and get help with your applications.